Hate to break it to you, but there's no snow in the foreseeable future for the Twin Cities, meaning the brown grass and dirty ice chunks are here to stay. But if you just can't take the bone-dry winter we're having, get in your car, or better yet, a snow plow, and drive up Interstate 35 and head into the winter wonderland that is the North Shore. The North Shore has been battered with big-time snow repeatedly in recent weeks, and it's piled up 50 percent more snow this year than there was at this time last year. In some cases, there's 85 percent more snow on the ground. Check out a few of the snowfall increases through Jan. 10 from last year to this year. Generally speaking, the North Shore averages 91.5 inches of snow each winter, meaning they're well on their way to reaching what's considered normal. The end result has been a "significant increase" in visitors making the trek to the North Shore for winter fun, according to Linda Jurek, executive director of Visit Cook County. For comparison, the Twin Cities averages about 54 inches of snow annually. Since October, just 11 inches has fallen at MSP Airport, which serves as the official recording station for the Twin Cities. Minneapolis-St. Paul Airport has measured just a trace of snow so far in January after 6.7 inches fell in December and just four inches in November. There was 0.3 inches in October for a grand total of just 11 inches this "winter." 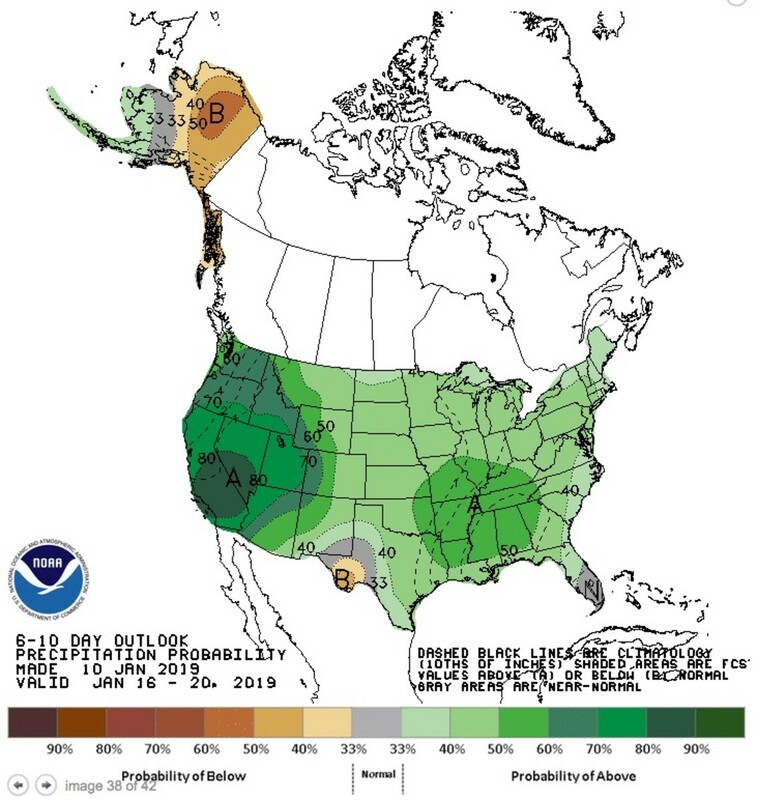 This isn't much to go on, but the 6-10 day precipitation outlook from the National Weather Service shows a slightly wetter period POSSIBLE, but we'll believe it when we see it.